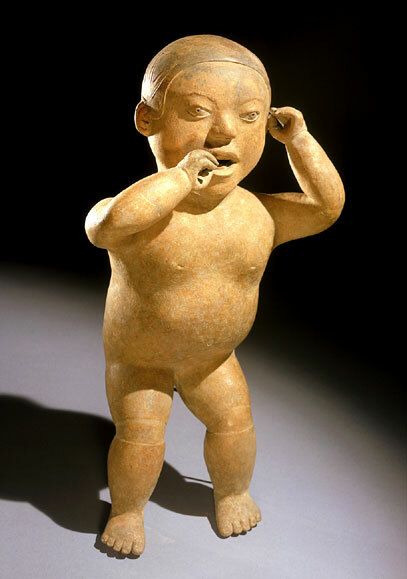 A Pre-Columbian Xochipala Baby, Middle Preclassic, circa 1150 B.C. to 550 B.C. Provenance: 1) The Jay C. Leff Collection. 2) The Otto Atencio Collection. 3) A New York Private Collection.